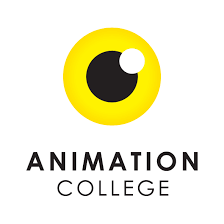 With four cutting-edge campuses sprinkled throughout New Zealand, Animation College is well known to the animation and digital arts community that frequently employs its graduates. Offering both degree and diploma programs, students at Animation College gain a full scope education in animation, tackling both 2D and 3D, with an emphasis on character animation and the fundamentals of the craft. Raymond McGrath serves as a Lecturer at Animation College, and brings his decades of industry and creative insight into the classroom. He has explored virtually every creative medium available to bring his stories and characters to life, and he passionately passes along his knowledge, skills and enthusiasm to his students. For our very first interview of 2019, we caught up with McGrath to pick his brain on Animation College as well what he has learned when leveraging new tools and mediums. We hope you enjoy! ACR: Raymond, thanks for participating in our first Q&A of 2019! To start, give us the boilerplate on Animation College and its many offerings. Raymond McGrath: Animation College was established in 1989 by former Disney animator John Ewing. It’s New Zealand’s only creative educational institution that teaches 2D and 3D animation at both diploma and bachelor degree levels. We aim to enable students to tell digital stories that inspire, influence and entertain by capturing the art of emotion. We have a range of programmes covering digital media and specialising in Animation, with around 450 students across four campuses located in Auckland, Manukau, Rotorua and Wellington. Our colleges have a friendly and family feel to them – you feel like you’ve found your tribe here. ACR: Tell readers a little about your background in the industry, and why you chose to pivot and become a Lecturer at Animation College. RM: I trained as a traditional 2D animator at Freelance Animation School – which eventually became Animation College. I was initially hired by Freelance Animators after a year or so, and worked with John Ewing there for a number of years before moving to another studio where I worked for the next 20 years as head of animation. I was attracted to teaching here at Animation College for two reasons. One was because I wanted to take a break from decades of production work, spend time focussing on my own work as an independent creative, and share my professional experiences with the new talent coming through the system. As a director, I was often interviewing, mentoring and working with ex-students from the college within our studio, so I was already familiar with teaching, faculty and students – and also its key points of difference with other training institutes. The other was specifically because of its traditional craft background and focus on drawing – fundamental skills that, in my opinion, transcend all techniques and technologies. In doing so I have also been able to reconnect with the craft I fell in love with 24 years ago and share that with students. I enjoy teaching – which is an art unto itself. I spent a lot of time teaching and mentoring junior studio staff and this was very rewarding to me. But lecturing in this craft has taken that to another level. ACR: What was your own educational experience like, Raymond? RM: My training has been less formal and more practical – and very much at the deep end of the learning pool (often self-directed through publishing and external projects that I have done under my own direction and in my own time). I did not spend long in the Freelance Animation School system because I was picked to work on production work quite quickly, and trained more closely with the animators there rather than the tutors. This was more in line with the old fashioned Disney way and I had to spend a lot of time doing the ‘hard yards’ as an assistant before I was even allowed to animate anything on my own. It was slower and I had to figure out a lot of things the hard way through experimentation, effort and failure. What I did learn, I learned well and it was all grounded in the fundamentals of drawing, art, story and film making. I was lucky. I got to work with John Ewing and other animation professionals from an early stage in my career. But, I think that any opportunity students get to work closely with experienced, well-seasoned professionals is great. ACR: From a teaching perspective, how important is balancing those fundamentals of the craft with the modern-day technical tools of the trade? RM: I honestly think it’s the basic fundamentals that students, who are often conditioned to a lifestyle of instant gratification, forget are key. Writing, drawing, designing, storytelling, problem solving, self-evaluation, professional practise and discipline – all of these things form the basis of all creative pursuits, irrespective of the specific technique you employ – 3D, 2D, stop motion, live action – whatever. Technicians are easy to create. Technology can be learned relatively simply by showing students which buttons to push. But teaching them how to create using those tools is what really matters. Our job at Animation College, from my perspective at least, is to teach them the potential- not only of their ideas but of the technology they use- to present those ideas to the world. I remind students that while it may seem old-fashioned or archaic, pencil and paper is technology which has been around for millennia – and has been for a very good reason. As a director who has worked with all the media schools and their students over the years, they all have a different flavour and focus. Some on more graphic and digital design, some on 3D and CG technologies, others on live action, acting and integration. Animation College seems to me (especially within the 2D programme) to have a focus on the skills that are required in all of those mediums and that I find are most necessary. Story, drawing, art, character and performance etc. and then uses current technology as a way to learn them. ACR: You mentioned that you’ve explored many areas of creation: from art and animation to authorship, music and illustration. In what ways have you honed your creativity and acquired these diverse skills? RM: I love to make things. I am interested in everything – art, science, people, nature, physics stories. I like to let an idea or project tell me how it could look and how it could be created, what style is best for it or what it is trying to say to an audience. I don’t like to work in a style or technology that I am comfortable with or have done before if that doesn’t suit the idea. That is not interesting to me and not where innovation happens. I find some ideas are books where others are films; some are pictures, others are songs; some have words, some do not; some need technology, others are best created with pencil and paper. One idea might become a toy where another might become a game. Some should be projected onto a wall while another is nothing more than a sketch in a notebook. I am also fearless (or stupid) enough to try them all. Basically, the only thing that matters to me is the quality of the end product and its ability to share itself with an audience in a way that is unique to that idea alone. This forces me to constantly develop, resulting in a diversity of skills that have provided many professional opportunities that would not occur if I was a specialist in one thing only. It also has taught me to look for creative opportunities, think outside the box and know that I can learn any new techniques I need if necessary. All creativity is connected and follows the same rules. There is as much colour in music as there are notes in colour. There is rhythm in words, lines, fashion and architecture. There are patterns in mathematics, nature, sounds, shapes, forms. You can arrange flowers or arrange pixels. It’s all the same to me. ACR: How do you get your students comfortable with utilizing new mediums or tools? RM: First, stop and consider if the tool is the best one for the job. It’s important to know what purpose the software was made for, rather than force it to do something it wasn’t designed to do. All tools are useful, but if they aren’t working for your end goals, find a different tool. Also, remember it is a tool. It is simply asking you to put information into it so it can provide you with an end result. Consider what it is you think you want to do first. Then break that down into what information it will need you to give it. I try to teach students to relax and navigate software. Read the panels and menus. Think logically about what a tool might do or where it might be found. Experiment – but one tool or feature at a time and don’t press all the buttons at once. You can usually figure most problems out by not panicking and not relying too much on getting someone else to sort it for you. I am not a technologically inclined person. I don’t like computers much. But I have learned many professional tools over the years, often out of necessity rather than genuine interest and I know that if I can work out how to use them, others will be able too. ACR: In your courses, do you have a favorite project that students are tasked with completing? RM: I have two: Observational Drawing and 2D Animation exercises. These two things reveal student’s strengths and lay bare where the development is needed. I have seen 2D animation bring skilled and talented artists to their knees because they have never needed a drawing to work together with others to describe a specific performance over time. In animation, this is essential. I have also seen Observational Drawing turn someone who has only drawn by copying animation, cartoons or comics all their lives to discover there is much more to drawing than the black outlines of a character – like gesture, form, shape, containment and rhythm. It’s as much about what they are doing in the drawing as what they look like. To be clear though, I don’t take pleasure in their failures in the slightest. But I do enjoy seeing them challenged and develop by being forced out of their comfort zones to become stronger and more skilled artists. For me, it’s when they can actually see their own development that it is truly satisfying. ACR: Having worked both independently and in industry, what excites you most about the prospects and opportunities facing your students as they embark on their own careers? RM: These days students have many more tools available to help them build, experiment and evaluate the results of their work faster. They do not necessarily even have to work in a team in order to create content. They have available to them online broadcast platforms to get their ideas out to the world and even monetise them. These things did not exist when I started and it provides huge opportunities for students willing to exploit them, who want to get noticed quickly or who want to work alone and become independent artists. It gives students more options than ever. Of course, working in a studio is a great opportunity and goal, but these days students do not have to step out of training straight into a studio job working for somebody else. They can quite literally build their own career and futures if they want to on these platforms. That is a pretty powerful prospect if you are willing to put in the work and take a shot at it. ACR: You mentioned at the top of the interview that Animation College has multiple campuses throughout NZ. How do they each compare? RM: We are lucky to have the ability to offer our college experience across New Zealand. Auckland is the largest campus, and has ten multi-purpose digital teaching labs and lecture rooms. A life drawing and sculpting studio, with an adjacent 3D printing maker space and green screen wall for live action integration, a screening theatre, a WACOM Cintiq lab, AR/VR lab and reference library. We then have smaller satellite campuses in Manukau and Rotorua offering 2D animation. Our Rotorua campus has three digital teaching labs and Manukau has two. Our bachelor degree is offered at the Auckland campus and at the Wellington campus at our partner college, Yoobee School of Design. ACR: New Zealand’s digital arts landscape is enviable. How do you believe Animation College fits into the broader community in terms of educating the next gen of artists and continuing to put NZ at centerstage in the arts? RM: I think our role is always to develop new talent and help students recognise their own potential, show them the tools and how to exploit them creatively, while nurturing professional attitudes, habits and work ethics. I think we are here to open their eyes to the possibilities of the animation mediums and the potential of the career ahead, and give them every opportunity to experiment, explore, innovate and grow as individuals. I think the most important skills are the foundation ones that are essential to all creative pursuits and should be the focus. I also think we should be preparing them for long term learning and the life skills they’ll need as professionals to succeed. In teaching these, students will naturally become skilled, focused, adaptable artists and technicians, able to enter anywhere in the industry they choose, take advantage of any opportunity or create a new industry of their own and contribute to it in their own way.